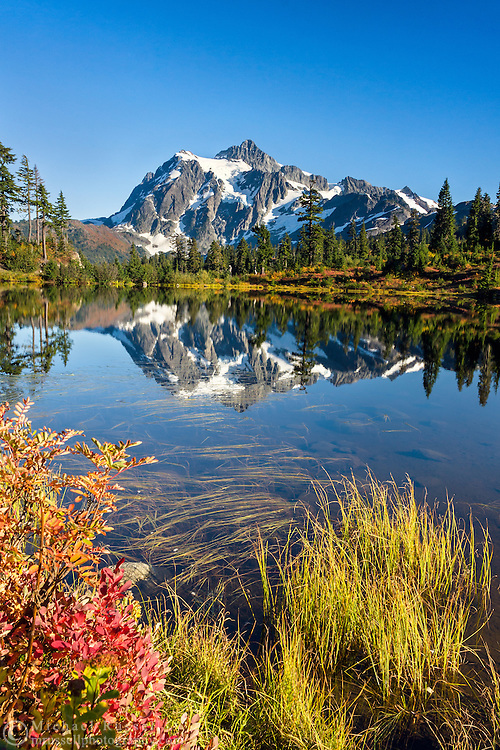 One of the most photographed mountain scenes in the world - Mount Shuksan reflected in Picture Lake in Washington State, USA's Mount Baker-Snoqualmie National Forest. Photographed from a viewing platform at Picture Lake, this view of Shuksan is even better due to the fall color foliage of the blueberries and other lake side plants. One of my more popular images.